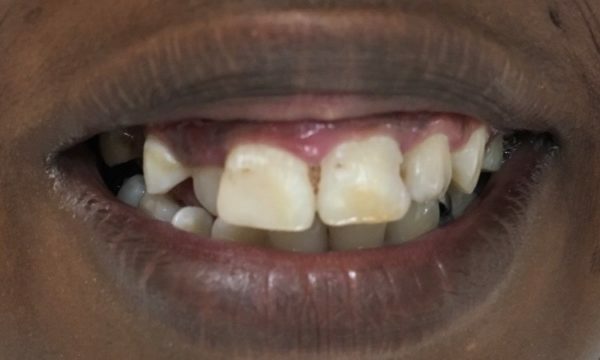 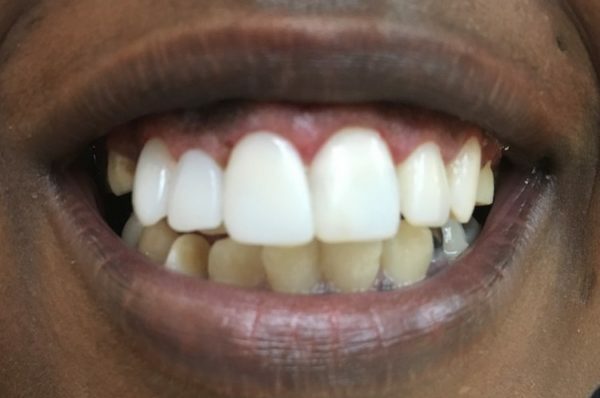 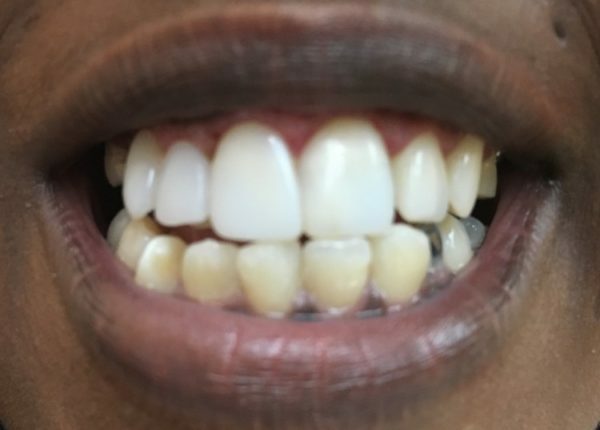 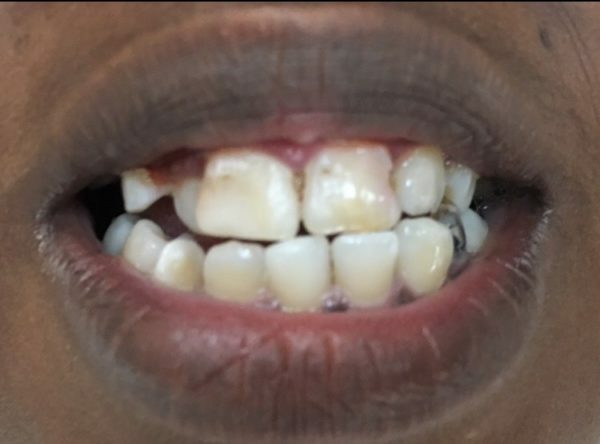 Before: Patient Bria had gummy smile and short decay yellow teeth. 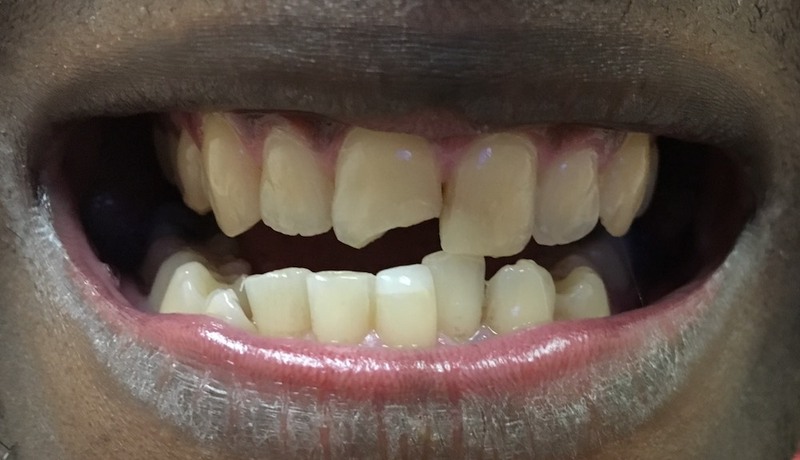 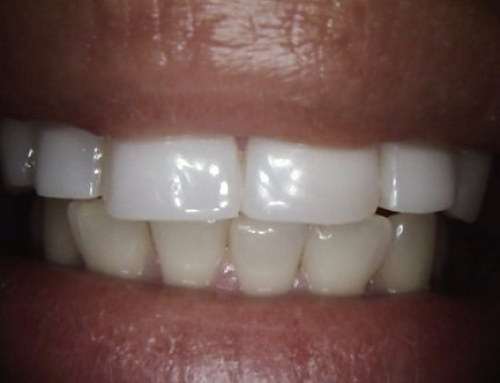 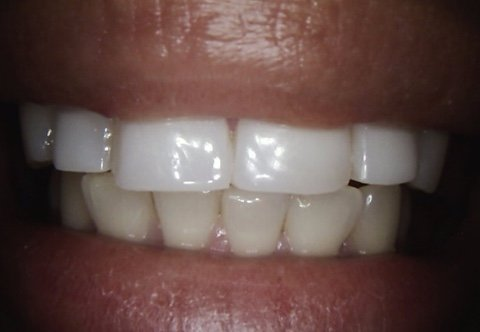 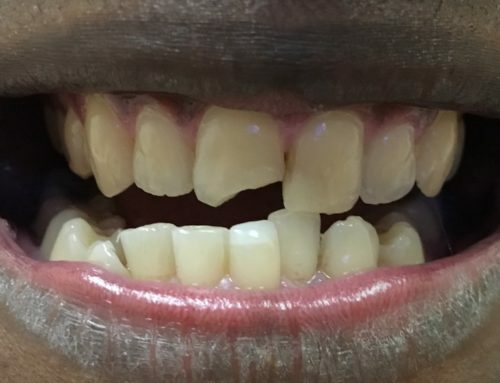 She wanted longer straight teeth in One Visit with Affordable price. 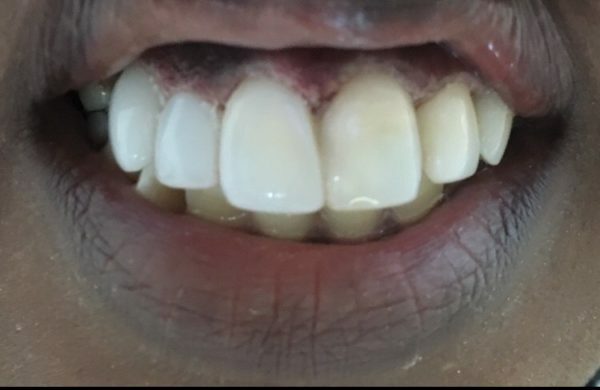 After 5 hours in One Visit, we used WaterLase Express from Biolase to do gum surgery, then did root canal therapy for two teeth, the sis composite build up, crowns, veneers, and fillings after cleaning all decay and cavities for her. 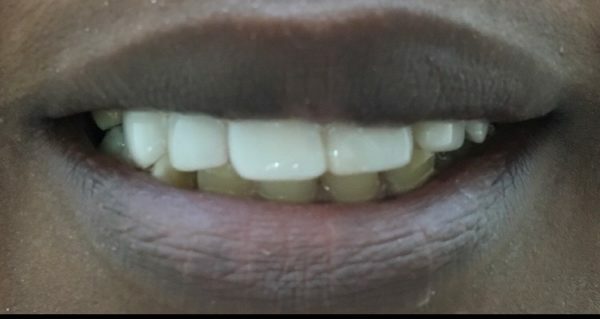 This is right after 5 hours.